We've seen plenty of evidence in the ad world of P. Diddy's self-deluded worldview: Ciroc Vodka, Burger King, Unforgivable. 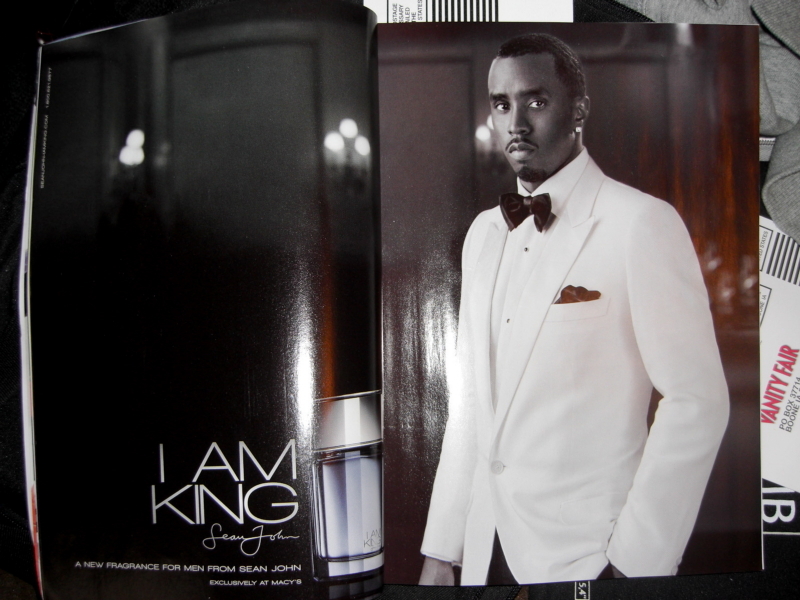 Even so, I still choked a little upon catching sight of this two-page spread for I Am King, the direct and to-the-point moniker for his newest fragrance. Copy and packaging are flanked by The Man himself, tux-clad and perpetually defiant. Diggin' how the spread lacks a sampler. Guess you're supposed to take it on faith that if Diddy shits it, it reeks of rosepetal. Some of you Diddy fans might be interested in something special happening at Galaxy Scotland! And a rare one-off performance with his live band, plus a performance from special guests The Saturdays. We're giving you the chance to reserve tickets for you and your mates. One party is in Glasgow on 26th November and one is in Edinburgh on 27th November - and we've hired two of the hottest venues we could find. olfactory product intro without a scent strip! ...excellent use of color: wood tones,the crisp cotton and fine silk against flawless skin offer a synergistic sensory replacement that works aces over kings in this scent print ad(imho).